L’Exclusif features a wide range of exotic products including International Gourmet, Nuts, Dry Fruits, Crispies, Conserves, Savouries, Tortilla Chips, Potato Chips, Nachos, Digestives, Chocolates and most popular, their Ice creams etc. For all Nature’s Basket customers, L’Exclusif has always been the go-to for products that they wouldn’t find anywhere else. And given that they have more than just the basics, it’s a very popular brand. The packing is bold, classy, gourmet style and noticeably different. 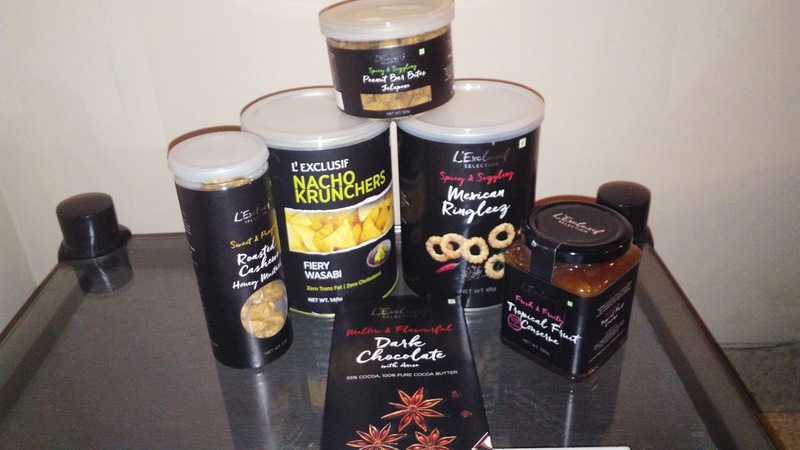 Being a part of their on going promotion of 'Monsoon Munching' L’exclusif Selection offers tasty and healthy snacks on the go. It’s all about 'Feast your Senses' with their Category of Snacks. Dark Chocolate - The packing as well as the Taste is Premium. This melt in the mouth dark chocolate is so smooth. Mexican Ringleez - Spicy as well as sizzling, this savory product is round in shape and crisp. A perfect balance of sweet and spicy. Nacho Krunchers - I believe they are everyone's favorite. We all enjoy munching them when we are watching movies. The flavor I received was Fiery Wasabi. Yes if eaten too many at a go, you could sense the fieriness in the nose. Specially since it was Wasabi. Yet I enjoyed munching them till the last piece. Tropical Fruit Conserve - This jam is one of its kind and unique. It has no artificial coloring or flavoring. Its made with hand picked ingredients and cooked slowly. Roasted Cashew Nuts - Received Honey flavored ones. They were crunchy and had were a bit sweet. My mom ate a handful of these almost everyday. I few of the premium range products, however they have an extensive range of products. Let me know if you have tried something other than what I tasted. Would definitely love to hear your feedback. There is no better way to enjoy Monsoon's. 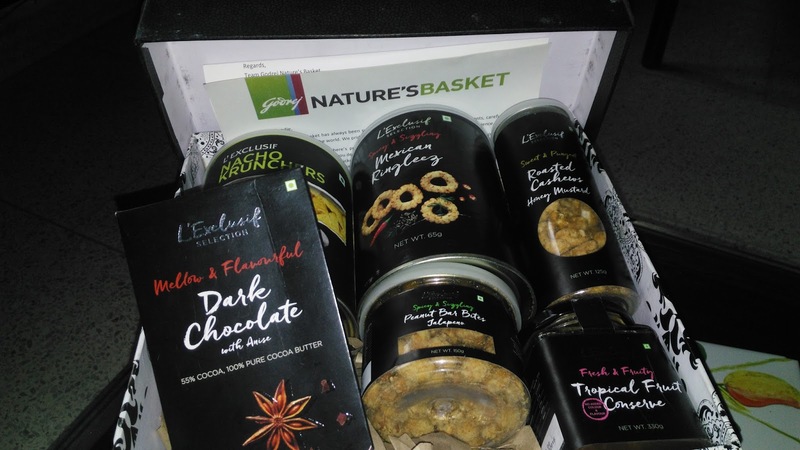 Munch with Godrej Natures Basket Range of Products.